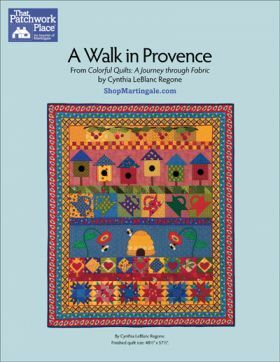 Take a trip to the lush countryside of southern France--without leaving home. 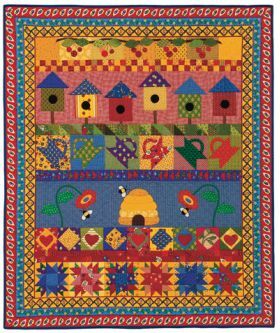 Start your journey with a collection of royal blue, mustard yellow, and deep red fabrics and combine them to make this stunning row quilt. Full-sized appliqué patterns are included. Finished size: 48½" x 57½"
Totally worth the $4.99 but I was able to get it on sale and wish I'd bough a few for friends. As a beginner quilter, I need things fast and easy or at least do-able....this is so do able. I've got her book on my wish list. Love it but where do you get the provence fabrics. 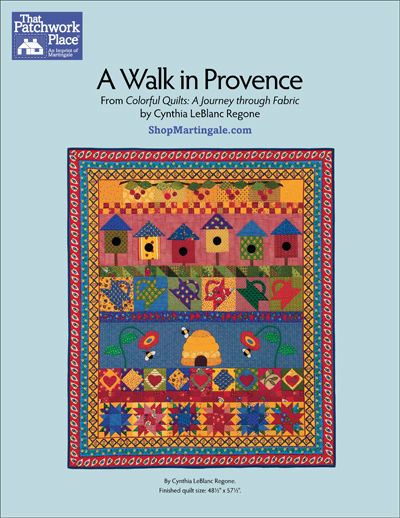 --Hi Lindsay, the fabrics in this particular quilt are inspired by the colors of Provence. Unfortunately, it's unlikely that these specific fabrics are still available for sale. 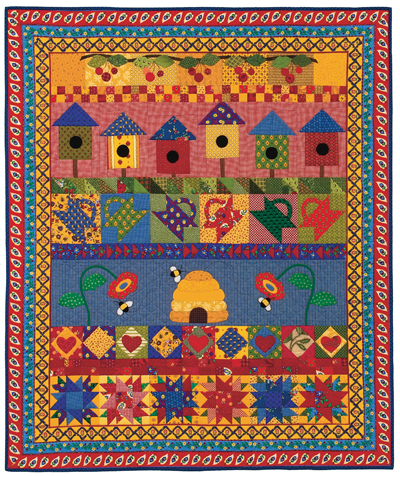 We suggest visiting your local quilt shop to look for similar fabrics to use in your quilt. 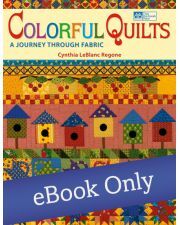 Thanks for contacting us,and happy quilting!